The Oracle of Omaha nearly quadrupled his stake in the tech giant over the last three months of 2016, ending the year with 57.4 million shares worth roughly $6.64 billion as of Dec. 31, according to an SEC filing. That figure is up from only 15.2 million shares worth about $1.7 billion in the prior quarter. 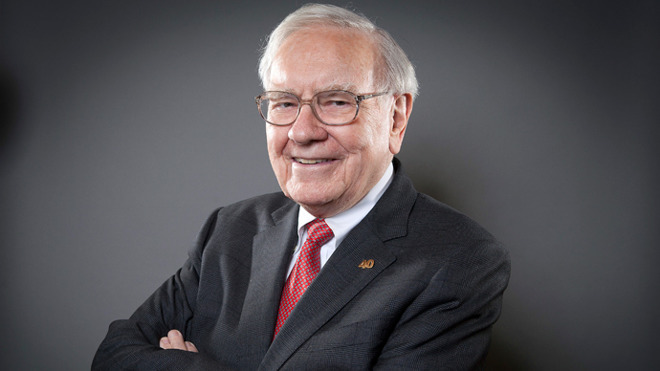 With AAPL shares trading at $135.01 at the end of trading on Tuesday, Buffett's chunk is valued at about $7.74 billion if the fund still holds the cache. Alongside a buff to Apple holdings, Berkshire increased its position in airlines, with $2 billion investments in American Airlines Group, Delta Air Lines Inc, Southwest Airlines and United Continental Holdings, the filing shows. Buffett tends to shy away from tech sector stocks, but that investing pattern is slowly changing. Last May, Berkshire took its first bite of Apple with a 9.81 million share buy which at the time was worth more than $1 billion. The fund increased holdings to the aforementioned 15.2 million AAPL shares in the September quarter.